Are you ready to run for success?! 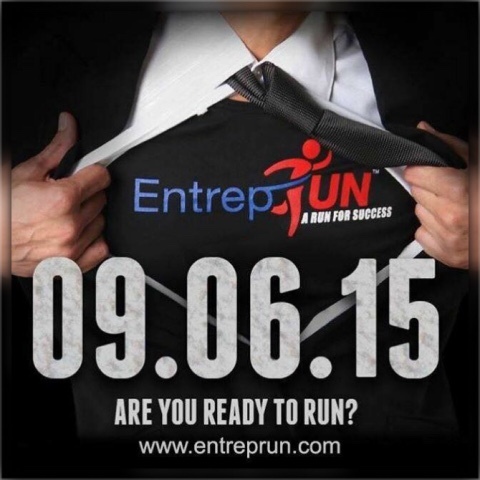 This coming September 6, 2015, the very first running event organized by the successful businessmen and entrepreneurs is set. And this run is dubbed as EntrepRUN, a run for success! 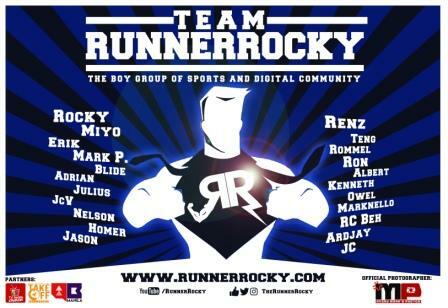 Earlier this month, yours truly Runner Rocky witnessed the grand press launch of this run in One Corporate Center, Ortigas. 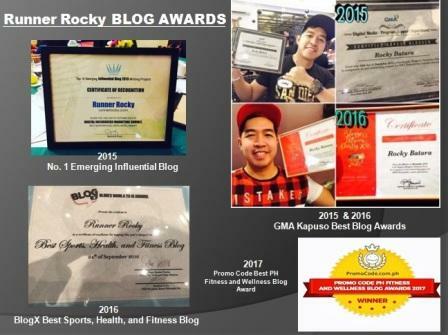 And I was the luckiest blogger during that night since I won a franchise business of Happy House Donuts. The good fate was not yet ended during the press launch and I will not be the only one who is lucky enough to own a franchise business because during the actual run, one of the many runners could win a business just like me. 1. Get a chance to win a franchise business. 2. Worth Php5,000 gas card by Seaoil. 3. Complete SPA Gift card. 4. Give away bags with exciting items. 5. Meet celebrity and rockstar entrepreneurs. 7. A big gold-plated medal for all the finishers. 8. 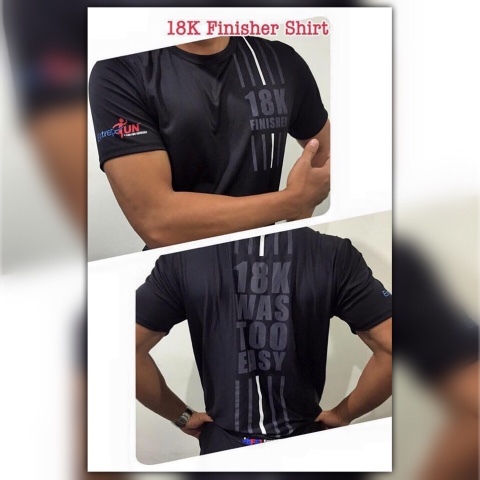 A simple yet amazing singlet made from hi-caliber materials which is so cool and comfortable to wear. 9. 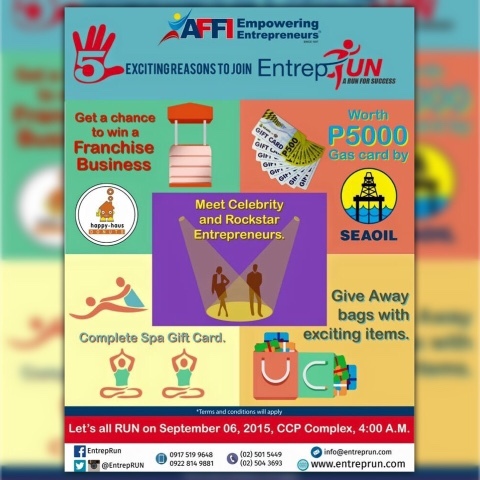 Fun activities and program after the fun run. 10. Expand your network of friends not only in the running world but also in the corporate world of businessmen and entrepreneurs. These things really sound great! It's not too late! 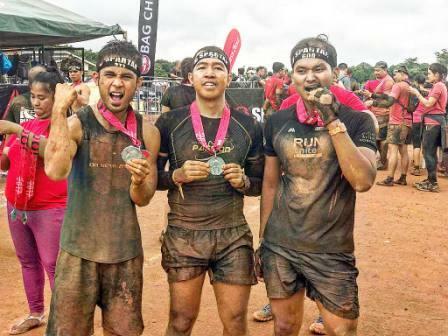 You can still register for EntrepRUN in the different outlets namely in Mizuno branches such as in Trinoma, SM Megamall, and MOA or in any Affinitea stores. 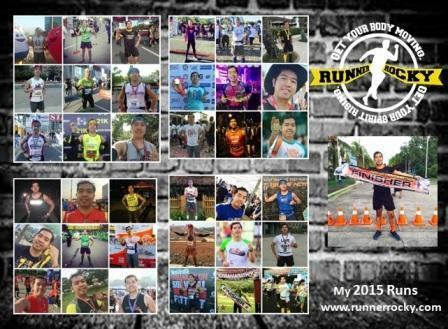 You may also check out the official website of EntrepRUN via entreprun.com for the complete list of registration sites. 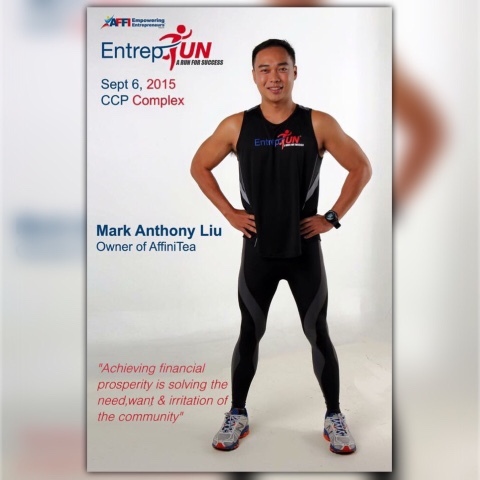 Meanwhile during the running event, you can also meet the man behind the successful AffiniTea runs namely Raise D'Roof and Brown Race, Mr. Mark Anthony Liu who is also the owner of AffiniTea. Sir Mark is not only a business-minded person. Just like me, he is also a fitness enthusiast and active runner.